Hell no to Milbury and what the hell does "because honor matters to me" mean? McGuire and Shero are good friends, bought gifts for each other's kids, etc. Think Penguins would hope for someone with more experience. Milbury has exprience but the resume listed above does little to impress me and Mario has a long memory so it would surprise me if that would happen. On the other hand, Milbury is due for a move to work out. 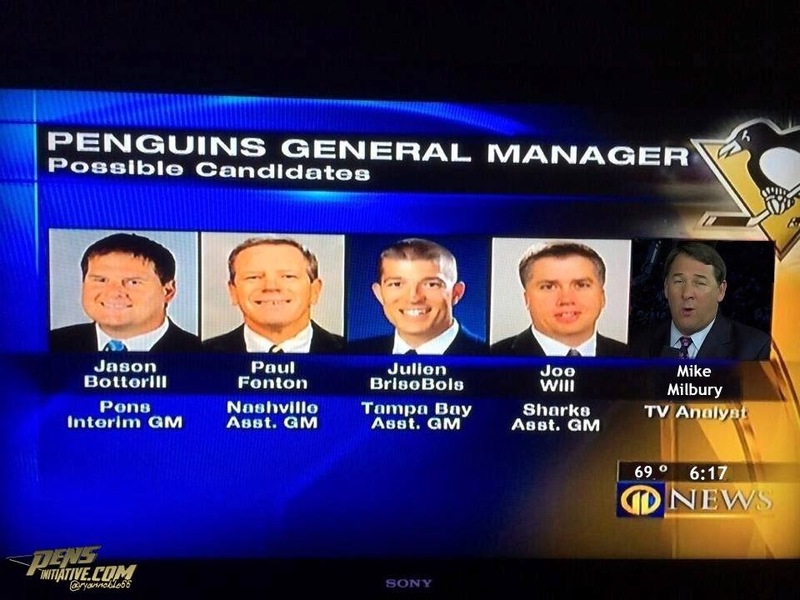 Why would Morehouse even CONSIDER a Penguin HATER like Milbury? Please don't allow this to happen Mario! !